All someone has to do is mention “bed bugs” and you probably get the willies. The thought of the little dangerous pests finding their way into your home is just terrible and at Northwest K9 Bed Bug Detectives, we share that thought. 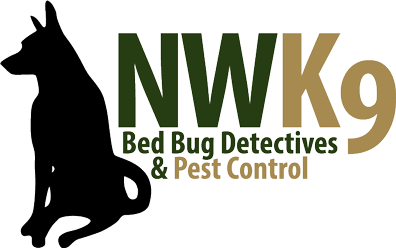 As your provider of bed bug inspection in Seattle, we will work tirelessly to rid your home of bed bugs, in the event that they make their way into your house. We’ll eliminate them from the cracks and crevices of your floors, your furniture, and even from behind your electrical outlets. One in five people will encounter a bed bug in their lifetime, and while 20 percent doesn’t seem like a lot, you should always be alert when coming back from a trip, when staying in a hotel, or buying something secondhand. Bed bugs can even hitch rides on books, as the University of Washington Library found out a couple of years ago. If you love books and often buy used copies, make sure there are no tag-a-long bed bugs coming home with you. Our ZappBug Oven will kill bed bugs in just over a minute, since they can’t withstand the heat. Protect your home and your family by calling for a bed bug inspection in Seattle today. You may not have even seen an actual bug, but have noticed bite marks on your skin or bloodstains on your mattress or clothing. Our K9 inspections will sniff out the intrusive pests and our control and exterminating procedures will have your home free of bed bugs in no time.